In this Good News Message entitled “ Ascending To Glory With Jesus,” Pastor Tony Marra of New Life Fellowship of Baltimore, Maryland, affirms that Jesus came to bring all of humanity to Glory. All of creation is United through Jesus Christ. There is nothing you can do to stop God’s plan and purpose for you. You are HIS WORKMANSHIP! Nothing can separate you from him and nothing you can do to earn his love. It is all freely given by his Grace. God is unifying all things in Christ, so even when we get frustrated and angry because we may not see his plan, because of his gift of faith he has given us as his children, we know that it will all get worked out according to his plan and will. *Photo by Calvary Pentecostal church. In this 5th message of the Good News series entitled: “Being Jesus’ Body (A Church For Others! )“, Pastor Tim of New Life Fellowship of Baltimore, Maryland, Proclaims the Good News of the Other-centered God Revealed in Jesus, WHO IS YOUR FRIEND!!! In this message, hear how God is a RELATIONSHIP of Friends, and a FRIENDSHIP in Relations. YOU are a FRIEND of GOD, and men and women have equal status, dignity and worth in him as His friends. Hear how Discipleship is really all about Friendship and how we are not only called to be Friends of Jesus, but Friends to one another, and to BEFriend and Be Friendly with the world! 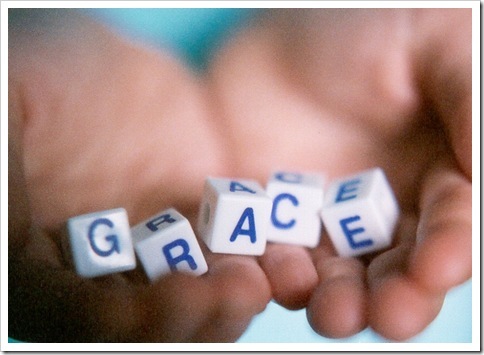 In this message at New Life Fellowship of Baltimore, Maryland Grace Communion International Mission Developer of The UK, James Henderson, shared how Grace transforms our behavior. By exploring 2 Tim 1:9 NIV, he explains that the concept of Grace has to do with the Purpose and Favor of God and not anything you have done. YOU ARE GOD’S FAVORITE!! Easter 2014: Who Jesus Is, and Who You Are, In His Resurrection! In this Easter Message, Pastor Tim, of New Life Fellowship Baltimore, Maryland, proclaims not only the Good News of the God Revealed in Jesus, but what it MEANS RIGHT NOW AND FOREVER FOR YOU in your Co-resurrection with Jesus! You are sure to be met and challenged by the Spirit of God in and through this adventure of hearing His Good News! God Loves Us More Than He Loves Himself?!?! 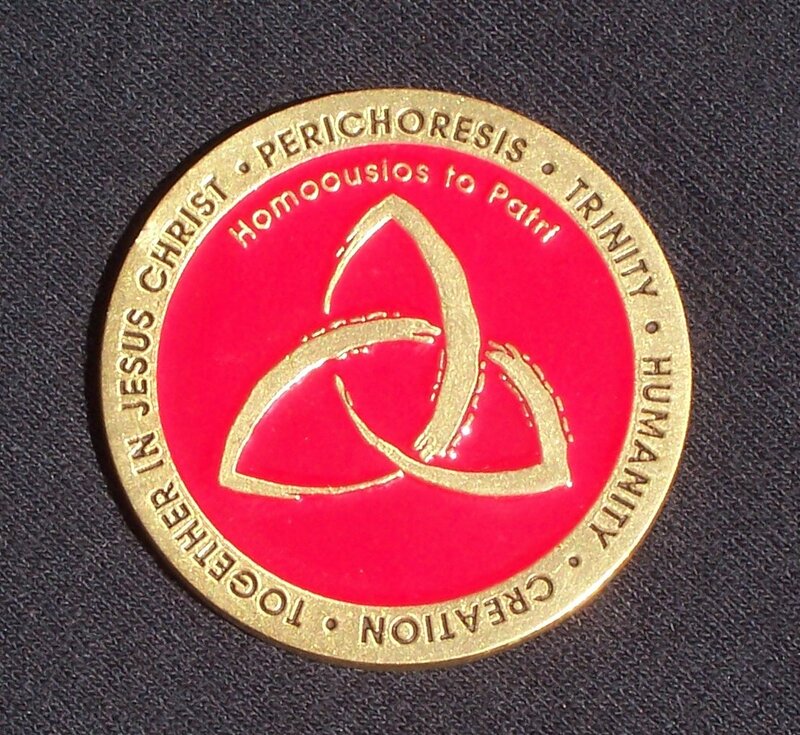 Surprise, shock and doubt are understandable in trying to receive such a Truth because, ultimately God the Trinity IS Love Himself, and cannot be completely understood or grasped! That is one of the first things to know as we “grasp how wide and long and high and deep is the love of Christ, and to know this love that surpasses knowledge that we may be filled to the measure of all the fullness of Christ” – Ephesians 3:18b-19 (NIV). I believe that God the Father, Son and Spirit loves us more than He loves Himself because Jesus Reveals (through the Holy Spirit and the Holy scriptures in His Church) , that God is a relational being of Father, Son and Spirit – One God in Three Persons – and that this God is completely and supremely joyful and at peace in His Being-In-Relationship. Indeed, He has need of nothing and cannot be added to or subtracted from in His Love and Life as the Relational God! This means that if nothing in creation, including humanity, existed, God the Father, Son and Spirit would be as happy and complete as they have always been! Therefore, WHATEVER GOD THE FATHER, SON AND SPIRIT DOES FOR CREATION IS STRICTLY AND STUNNINGLY ONLY FOR THE SAKE OF CREATION, NOT FOR HIS SAKE AT ALL! IN LOVE GOD THOUGHT, SPOKE AND BROUGHT CREATION (you, me and all other creaturely things invisible and visible!) INTO EXISTENCE THAT WE MAY SHARE FULLY IN GOD’S ACTUAL LOVE AND LIFE AND ITS BLESSEDNESS! “HE SUFFERED”: God, in the Person of Jesus Christ, purposefully sweated drops of blood out of his human body in anxiety over undeserved punishment. He suffered human vulnerability by openly exposing himself to hard-headed people, who hated him, in his wish to still embrace them as a hen embraces her chicks! He was misunderstood and forsaken by his family, friends and disciples – everyone! Instead of talking back and defending himself he kept quiet! “HE DIED”: God, in the Person of Jesus Christ, purposefully subjected Himself to our broken religious and political systems and let us plot his torture and death and kill him by hanging him on a tree with large nails, all while being mocked. Killing God is the worst thing created beings can attempt and as far in the dark as we can go. At this great cost to Himself in flesh Jesus subjected Himself to it! “HE RESURRECTED”: God, in the Person of Jesus Christ, purposefully raised flesh back up in a more powerful and glorified forever way shortly after having it buried in a tomb! Flesh that could still eat and enjoy human food! Yummy! This is also the Best Most Loving Human Being in the world giving Himself to everyone, being rejected by everyone, and then saying “WALLA! Here I am…still intent to be the Best Most Loving Human Being in the world to you, and you can’t stop me from being that for you and with you, as one of you! You creatures ARE going to share in my life and love despite and in spite of yourselves! Na-NaNa-BooBoo!” HaHaHa….shewowsa! 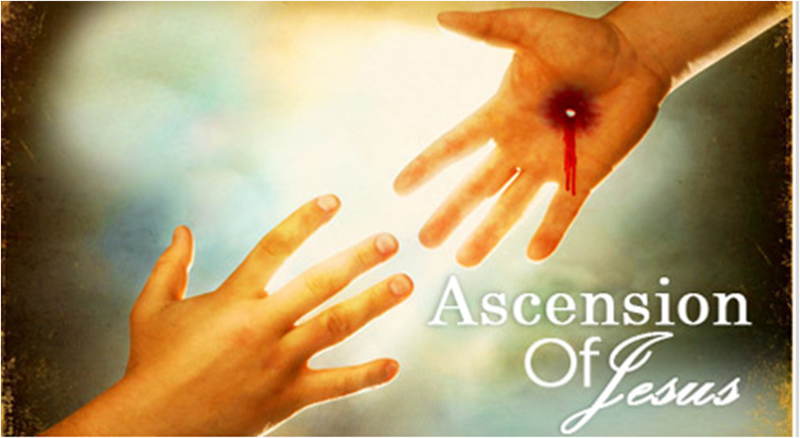 “HE ASCENDED”: God, in the Person of Jesus Christ, purposefully took glorified human flesh to a hidden place at God’s “right hand”, where He is STILL SO HUMAN in His human nature that He does not know when His Father is going to send Him back AND from where He yet prays for us as one of us! “HE IS COMING AGAIN”: God, in the Person of Jesus Christ, will return in glorified human flesh, where He will live with us operating out of a human/godly headquarters in the New Jerusalem coming down here out of the heavens! The Truly and Fully Human leader we are all looking for (and voting for even when we don’t vote!) IS coming! Finally, as you read the above, did you remember that God the Father, Son and Spirit did and is doing all of this ON PURPOSE AND FOR OUR SAKE ALONE, and that Who Jesus is as the God/Man adds nothing to, nor subtracts from, His complete Being of Happiness in Love as God? If you did then I would think that you would be compelled to think of God more as One Who Loves us More than He Loves Himself! The Incarnation was/is the complete God in REAL LOVE and REAL RISK in our humanity in the Son, trusting and obeying His Father! In Jesus God resisted the full depth of evil from within our fallen human nature and the opposition of His entire creation, submitting to horrifying, torturous death! In Jesus God was/is fully responsive to the Holy Spirit that we might share, however unparticipative, in His Love, Life and Relationship, even if we self-condemn ourselves from it in unbelief forever! He did not love Himself too much, but LOVED US SO MUCH MORE THAN HIMSELF that at great cost to Himself He took on this limitation and self-denial in Other-centered, Self-giving, Trinitarian Love, FOREVER, SOLELY FOR OUR SAKE! 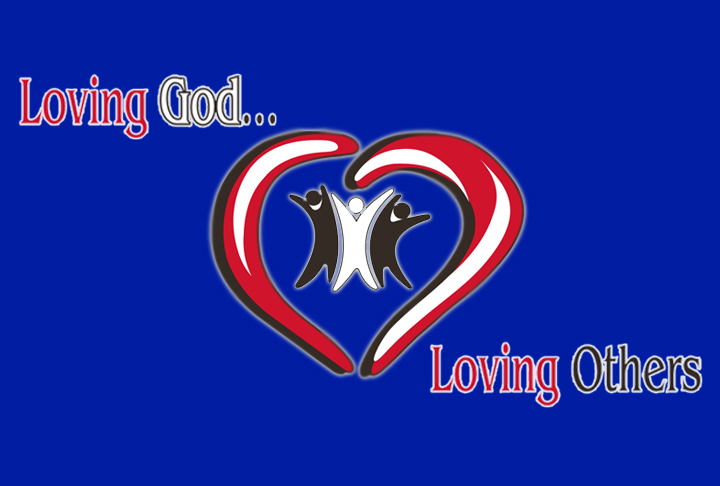 In this 3rd message of the Good News series entitled: “Being Jesus’ Body (A Church For Others! )“, Pastor Tim of New Life Fellowship of Baltimore, Maryland, Proclaims the Good News of the Other-centered God Revealed in Jesus. In this message hear about the Relational God – Father, Son and Spirit – who loves you so utterly and completely that He sent His Son Jesus to stand in your place and make all of your decisions for you in astounding Grace! He is also a God Who has pledged His very own life as God for your salvation and Who loves you more than He loves Himself! This means that every act of God on your behalf in Jesus has meaning for you and your complete humanity right now, so that you don’t have to be caught between “making something God happen” or “doing nothing” but can find yourself as a believing participant in the partial, provisional and temporary signs of the Kingdom which is breaking in on everything!